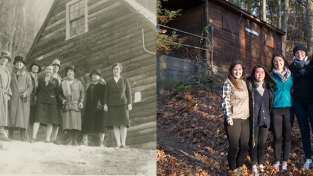 Her passion for climbing was ignited at Mount Holyoke, when she hiked in the White Mountains as a member of the Outing Club. Since then Gibson has successfully ascended challenging mountains around the world, including Denali, Aconcagua, Mount Kilimanjaro, Mont Blanc, Mount Elbrus, and several of the Colorado Fourteeners. 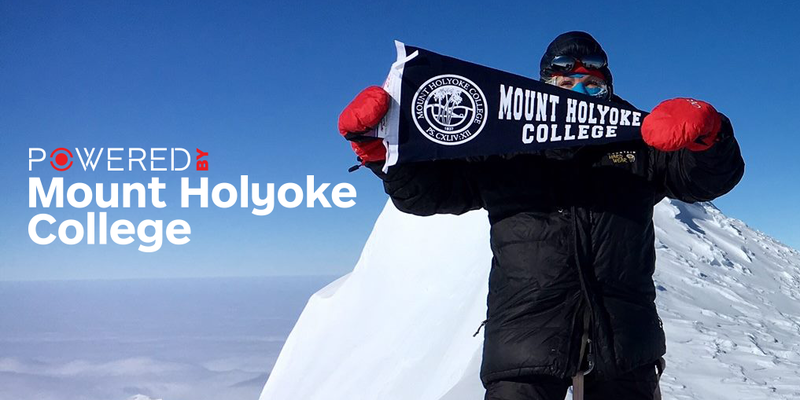 It should come as no surprise that her favorite Mount Holyoke tradition and memory is of Mountain Day. In 1990 Gibson became the third American woman, the fourteenth woman ever, and the oldest woman—at age thirty-five—to scale the world’s highest peak, Mount Everest. The last title was snatched just a few years later by another alumna, Marjorie Cross ’65! Gibson, who lives in Seattle, Washington, is a business mediator who helps to resolve board and executive level conflicts in closely held businesses and a volunteer on several nonprofit boards, including local chapters of Goodwill, the YMCA, and the Rotary Club, as well as the Washington Women’s Foundation and the Rainer Club. Gibson has spent her time since college balancing her professional life with staying active and fit and is committed to continue learning and achieving both in her work and her climbing even past her eventual retirement. Well done. Hi, I provide dissertation writing help in UK. 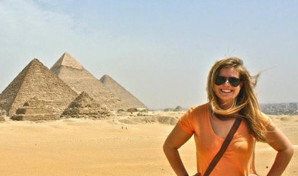 My sister loves hiking, she is very proud and is looking forward to meet you. MARVELOUS….. I am in awe of her climbing achievements ! This is phenomenal. Well done, Catherine! Being able to go forth and boldly pursue your dreams is inspirational to say the least. 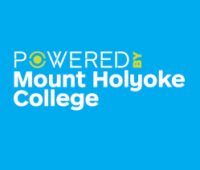 I had never really hiked before I came to Mount Holyoke. My first hiking experience was in the Adirondack Mountains during my first semester in Fall Break with the Outing Club. It was definitely my favorite organization on campus! I’m so impressed by both Cathy Gibson and Marjorie Cross climbing Everest! 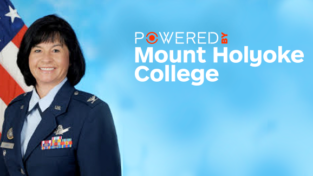 Thanks, MHC for making us aware of these uncommon women. Hi Mary – I’d be happy to speak with your daughter about Kilimanjaro. Cathy, your 1977 Class is so proud of you…you truly inspire us!